There's a comfortable contoured pillow for every type of dream. Feel yourself blissfully sink into alignment with the most therapeutic support for ideal posture and spinal alignment. 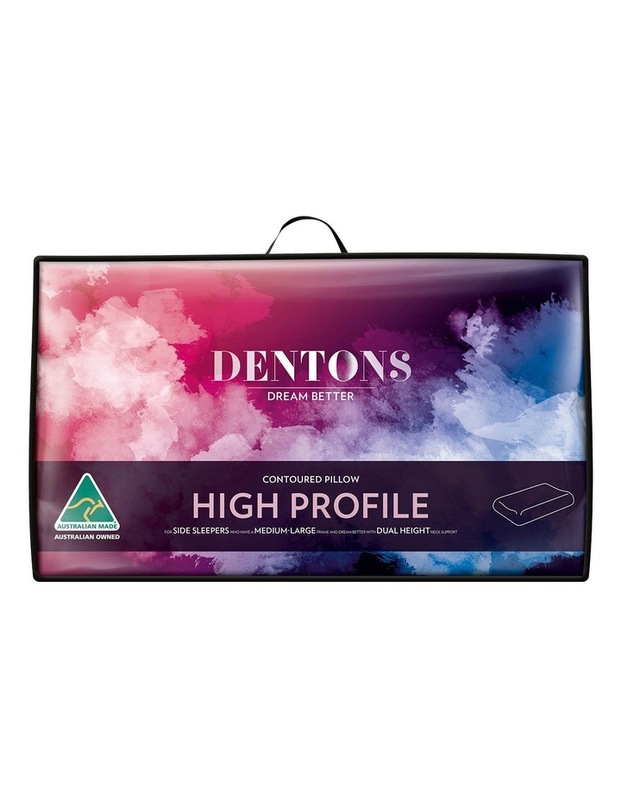 The DENTONS HIGH Profile is suitable for side sleepers who have a medium-large frame and dream better with dual height neck support. Dentons Foam pillows have been designed to encourage consistent and constant support to your head and neck giving you the perfect spinal alignment throughout the night, while you sleep. Foam is made with a polyurethane material that retains the shape of your normal sleeping position. Profile refers to the height of the pillow. 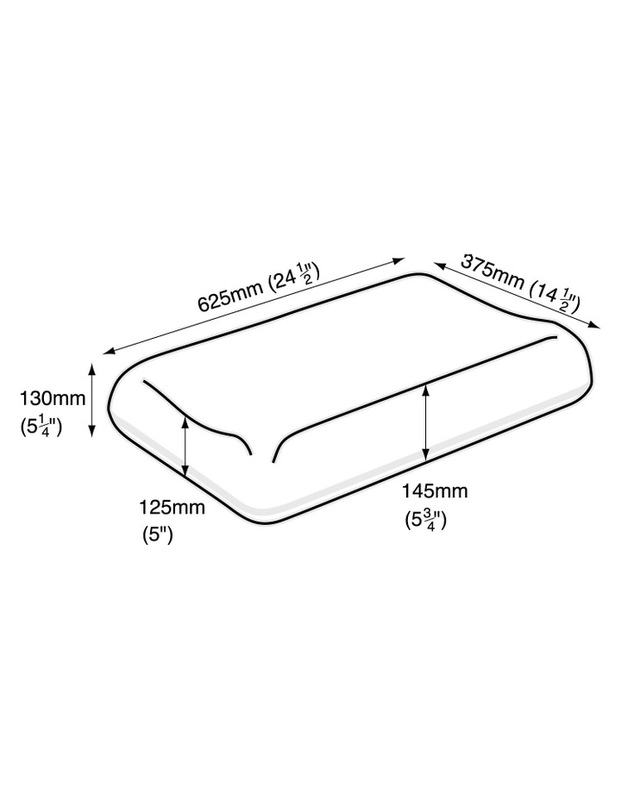 This pillow is available in two profiles; HIGH and LOW. HIGH suits those who prefer to sleep on their side or have larger frames. LOW suits the preferences of most sleepers or those people who sleep on their back/stomach or have smaller frames.